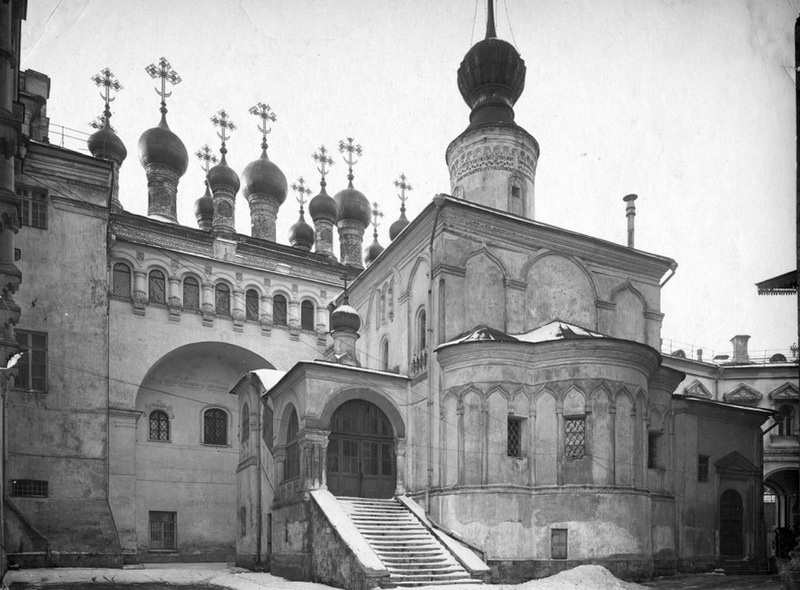 The Church of Laying Our Lady's Holy Robe (or the Church of the Deposition of the Robe) was a home church of Russian Metropolitans and Patriarchs. 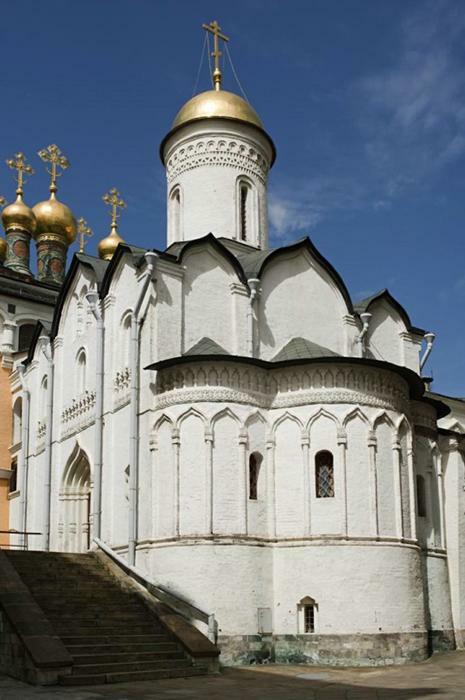 It was built in 1484-1485 by Pskov's stone-layers . 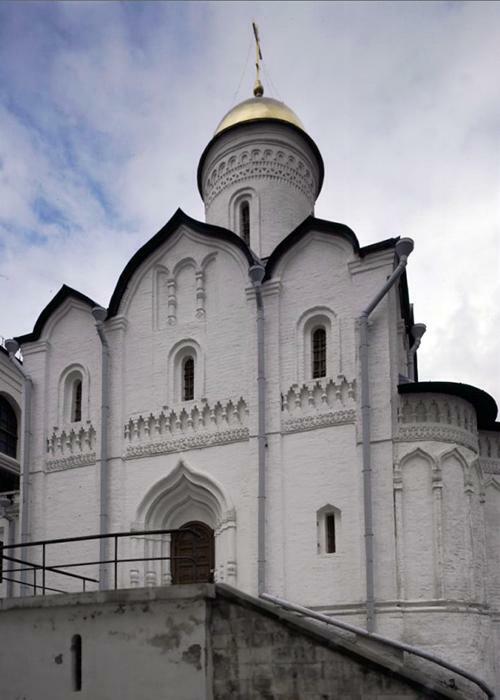 The name of the church is linked with a Byzantine festival known since V century. According to a legend, the festival was set up to the memory of transferring of Virgin Mary's Holy Robe from Palestine to Constantinople. 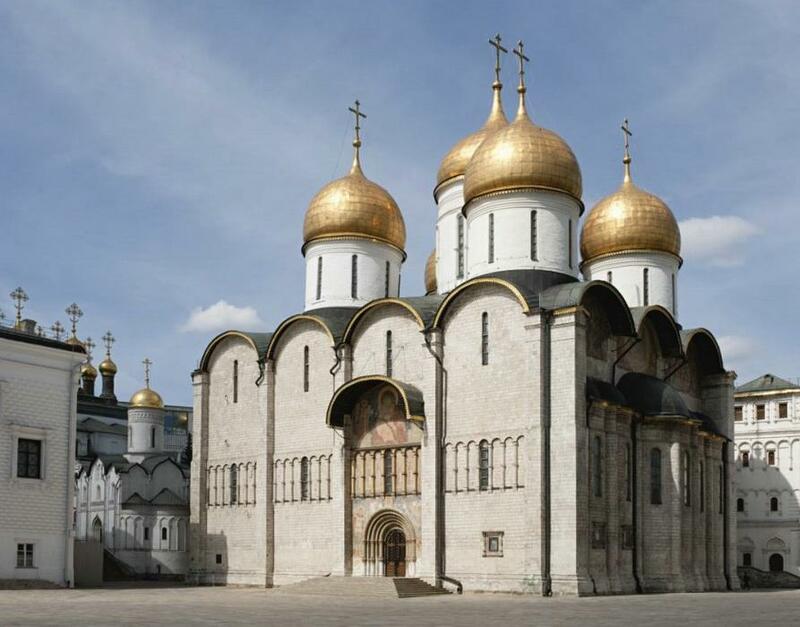 The Cathedral's main icon ( to the right of the King's gate) represents the ceremonial laying of the holy on the altar throne of the Court Emperor's Cathedral. 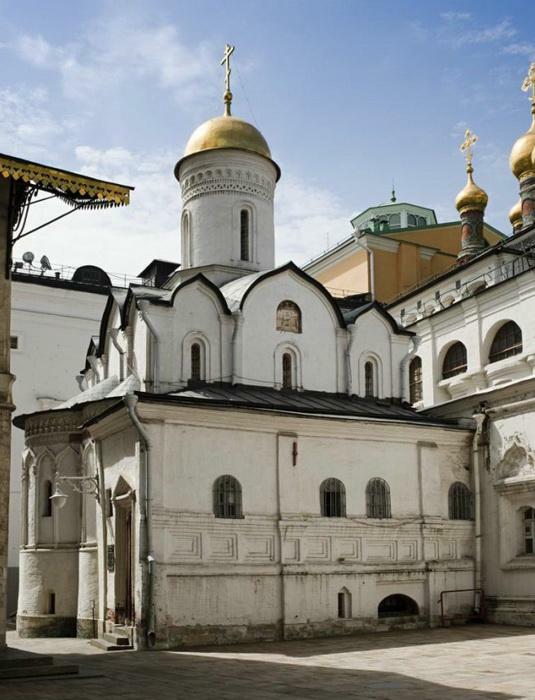 The four-tiered iconostasis of 1627 has been preserved almost intact. The major part of its icons were painted by tsar's icon-painter Nazary Istomin Savin. The iconostasis and murals form the unique artistic ensemble. The scenes of the murals illustrate the life history of Virgin Mary and the solemn chant in honour of Our Lady - Acathistus. 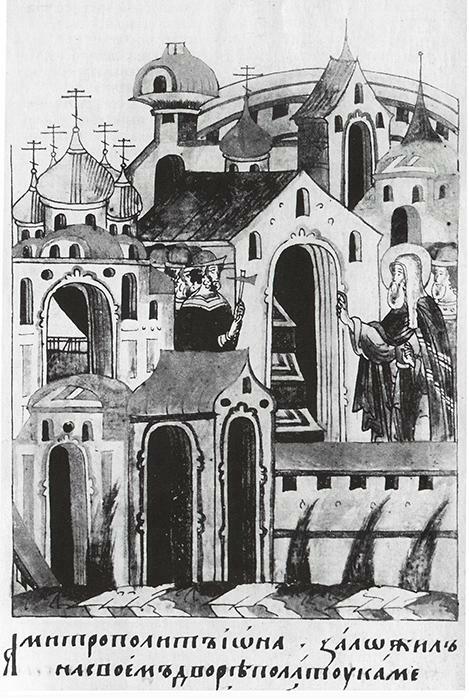 On the pillars, Russian Metropolitans and Moscow Princes are depicted. The interior is adorned with ancient items of cathedrals' decoration - the candelarium and so called "lean (gaunt) candles". In the gallery of the Church you can visit a rare exhibition of Russian wooden sculpture of theXV-XIX centuries.